Let’s state the obvious: you’re in business to earn money. Yes, you want to help others as well, but you want to make a profit with your business, am I right? In order to make a profit, you need to sell your products and services. But is it enough to just create products and wait for people to make a purchase? Not at all. I like to call that “wishful marketing” and it simply doesn’t work. That’s a very passive approach to running a business as opposed to a proactive approach, which includes finding people in your target market, forming a relationship with them, introducing them to your business, and then asking for the sale. 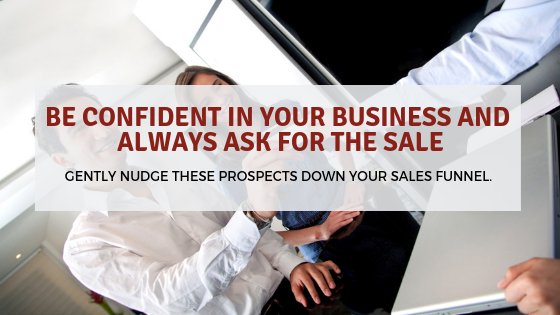 It sure is discouraging when people say “no” when you ask for a meeting or for the sale but there’s also a popular thought in the sales community that you need to hear 100 no’s before you hear a yes. Your business and your services won’t appeal to everyone, or they might appeal to someone who doesn’t have the money to spend right now. That doesn’t mean your business idea is awful; it simply means you haven’t found the right people yet. If you have put careful thought into what you want to offer your target audience and you have created products and/or services to meet those needs, be confident in telling people who you serve and how you do so. Create introductory posts on Facebook – on your personal profile and business page – and give a short summary of who you are and what you do. 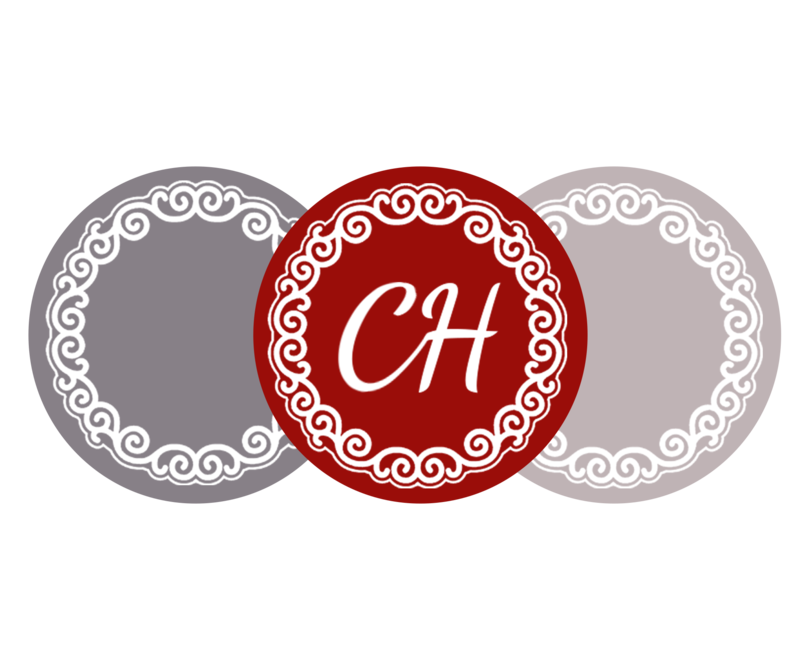 Here is an example of a high-level introduction post I shared on my business page, and another I shared about some of the services I offer. Create a Facebook Live series where you answer frequently asked questions as they relate specifically to your business. Find a podcast or other interview opportunity where you can share your expertise with a larger/different audience. Interview scenarios often put people at ease because you’re having a simple conversation. Include Calls-to-Action everywhere: at the end of every blog post; in your social media posts; within your eBook and other products. Invite your prospects to take the next logical step with you. Learn how to set up your Call-to-Action button on your Facebook page. In your email marketing: don’t be afraid to tell your readers about new offers. Never assume someone knows what you’re up to; be proactive and proud of your accomplishments and shout it from the rooftops. At the end of your one-on-one consultations: always ask if they are ready for the next step (i.e. : to make a purchase) or if you can follow up with them after a specific timeframe if they need time to think. 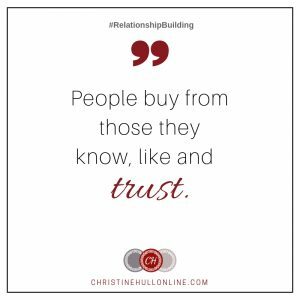 If someone is on the fence, now is when you nurture this relationship so they remember YOU when they are finally ready to make a purchase. At the end of the day, if you listen to what your audience needs, there’s no harm in making the offer and asking for the sale. If they say no, move on while nurturing the relationship.